A firefighter silhouetted by the Cougar Creek Fire, which burned last year in southwestern Washington. After several wildfires burned across the Inland Northwest in recent weeks, and with temperatures expected to reach the mid-90s by the start of next week, the Washington State Department of Natural Resources has increased fire danger ratings in several Eastern Washington counties. Outdoor burning restrictions across those areas have also been put in place. Effective today, fire danger went from low to moderate (the second-least severe on the five-tier fire danger ratings scale) in Spokane, Okanogan and northern Lincoln County, and in Fire Districts 1 and 2 of Stevens County. That rating remains at low for the rest of Stevens and in Pend Oreille and Ferry counties. Temperatures are expected to creep up to 94 by Sunday, and a high of 97 is projected for this coming Monday, June 6. Because of the early start to fire season this year, and these hot temps coming so early in the season, the DNR has also implemented outdoor burning restrictions. Burning without a permit is banned on DNR-protected lands in the areas where fire danger has been increased to moderate (Spokane, Okanogan, northern Lincoln and Stevens County Fire Districts 1 and 2). Campfires in those areas, however, are still allowed. 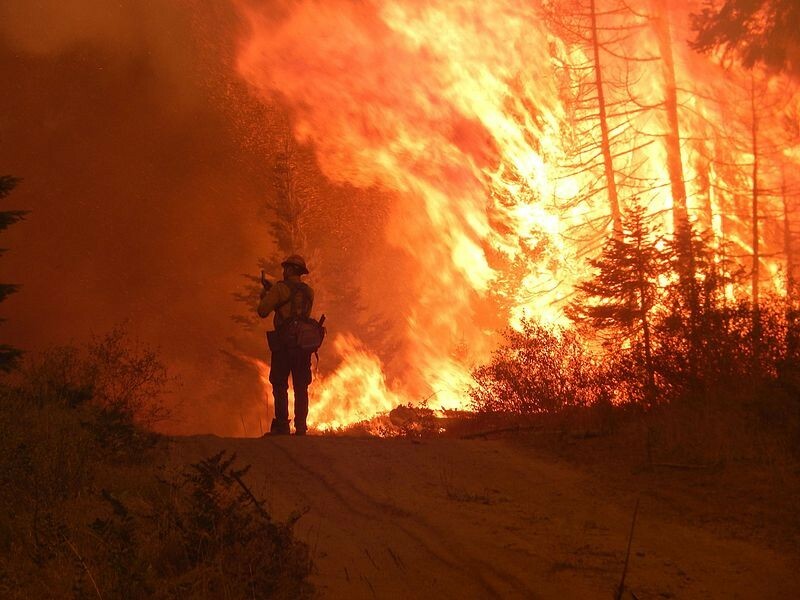 After last year's devastating fire season — the worst on record for Washington state — the DNR has set out to better prepare for the wildfires to come in 2016. While the DNR didn't get any additional funding from the state legislature for this year's fire season, more engines, tankers and crews are being trained and deployed around the state. Three additional single-engine air tankers — bringing the DNR's total to six — are being stationed this year in Omak, Deer Park and Dallesport, Washington. Thirteen more engines are also being procured, with all but one of those to be based in Eastern Washington. Firefighters across the state also met in May for interagency training sessions, which will continue through June. In response to the severity of last year's wildfires, a new Wildland Fire Advisory Committee was also formed last December, with the goal to improve communication and coordination between communities affected by wildfires. Meeting monthly since it was formed, the committee is made up of county commissioners, landowners, the state fire marshal, fire chiefs, fire commissioners, tribal representatives, federal firefighters, environmentalists and others.